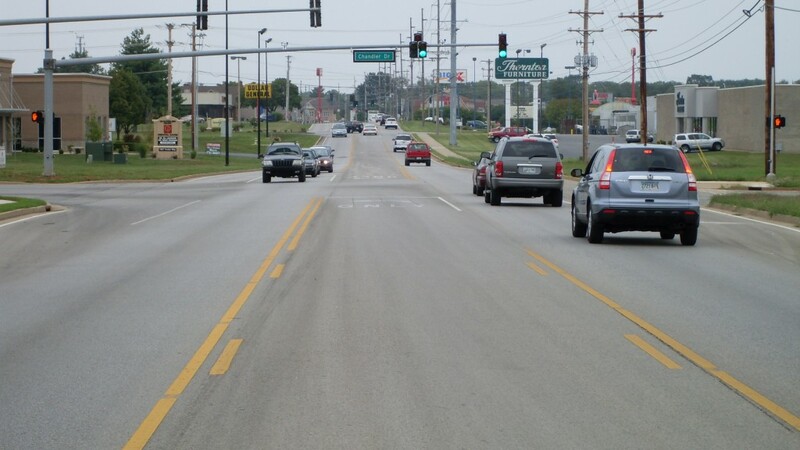 In an effort to meet the ever-growing transportation concerns of its citizens, the City of Bowling Green has developed a Traffic Management Program to address various areas of traffic related issues within the city. By taking an organized approach to traffic management, city staff can be more proactive and attempt to identify and eliminate potential problems before they occur. This is accomplished by responding to transportation needs through comprehensive traffic engineering, street maintenance and pavement management, and street capital improvement planning. In addition, we want to try to promote travel alternatives through our mass transit program, future greenways, and bike paths. Throughout the development of the manual the City received input from a Traffic Management Advisory Committee (TMAC). This committee acted as a sounding board for the development of policy, legislation, regulations, and public education. The committee was made up of members of the City staff as well as a cross section of community representatives from other government agencies, Western Kentucky University, local engineers, and members from citizen groups. The Bowling Green Code of Ordinances was revised to incorporate the changes made to theses various areas of traffic management. The final step in the program was to develop an educational program that would assist the City staff in presenting the key components and importance of traffic management in our city. We believe that providing educational information to the public is one of the steps to an ideal traffic management city. Access Management is defined as the controlling of access and roadway geometrics for any connection to the City of Bowling Green’s transportation network. The primary goals of Access Management are to improve roadway safety, improve traffic operations, protect taxpayer’s investments in our roads, and create better conditions for pedestrians. Access Management is often accomplished through techniques such as restricting driveways, medians, connectivity, and deceleration and acceleration lanes. By controlling access on roadways, conflict points between motorists and/or pedestrians are reduced. In addition, the capacity of the roadway can be maintained. Access restrictions are based upon the functional classification of the roadway, which are classified according to the amount of traffic traveling on them. These classifications and guidelines can be found in the Traffic Management Manual. The must also approve access to any state maintained roadways within the city. The Neighborhood Traffic Control Policy was added to the Traffic Management Manual (TMM) after the original manual was developed. Its purpose was to help develop a set of guidelines that citizens and others could see on how we handle traffic requests. The primary function of our city streets is for the movement of vehicles. Anytime parking is added along a roadway, traffic capacity is lost. Parking, backing, stopping, or standing vehicles along a roadway can physically restrict through traffic. In addition, parking can interfere with pedestrian movement and can cause hazardous conditions when parked vehicles reduce the site distance for both vehicles and pedestrians. The most common ways to lessen the adverse effects of parking on the capacity of the street are through regulations that control parking, stopping, standing, and loading along major streets. Design guidelines for parking as well as warrants for parking prohibition can be found in the Traffic Management Manual. Most studies of traffic related problems begin with the collection of a good foundation of the roadway and traffic conditions. Any study can only be as accurate as the data it is based upon. For this reason it is important that all traffic studies make special efforts to be thorough and accurate in the collection of all traffic data. The most common types of data collected for the purposes of traffic engineering are vehicle volume and speed data. The Traffic Management Manual outlines the steps to take and what factors to keep in mind as the data collection takes place. Traffic impact studies are conducted to evaluate the impacts of proposed land developments can have on the existing transportation network. Proposed changes might include new development, redevelopment of an existing area into new or mixed land uses, or possibly rezoning. These traffic studies are designed to assist the public works department and private planners in making decisions on how to plan for future transportation needs, assess the impact of changes in land use, and suggest ways for mitigating the adverse effects of these land use changes. Requirements for when a traffic study will be necessary as well as guidelines for conducting these studies are included in the Traffic Management Manual.